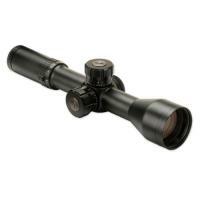 Bushnell ET35215M ELITE TACTICAL HDMR 3.5-21x 50mm Riflescope ET35215M FREE SHIPPING! The ET35215M rifle scope from Bushnell packs impressive performance into a compact frame. The multi-coated optics, with ultra-wide band coating, maximizes light transmission and clarity across the entire field of view at both long and short distances. Its locking T-Lok turrets accommodate precise .1 mil range adjustments, perfect for long-range marksmanship using the Horus H-59 mil-dot reticle. The scope performs well during outdoor use in all weather conditions. Bushnell's signature RainGuard HD® lens coating prevents glass from fogging in the rain, while a 2" sun shade prevents glare in bright light. ©2002-2019 CopsPlus.com: Bushnell ET35215M ELITE TACTICAL HDMR 3.5-21x 50mm Riflescope ET35215M FREE SHIPPING!